The UVG is a vertical grinder with an electropermanent rotary table of Ø 1000mm, for big cylindrical parts with a weight up to 4 tonnes and electrostatic longitudinal axis. 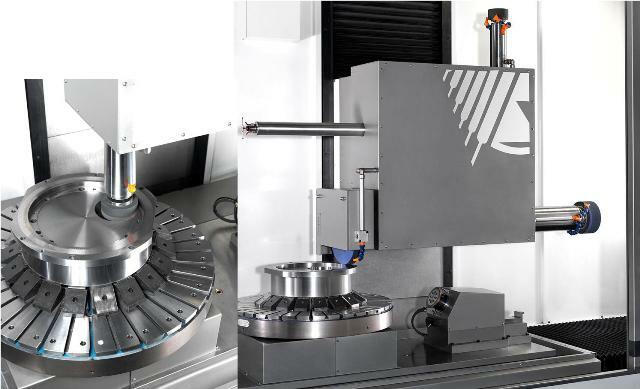 The wheel head is revolver type with hirth toothing and 360.000 positions, composed by 4 working stations: 2 vertical spindles for ID and OD grinding, a tangential wheel for surface grinding operations and a measuring gauge for part measuring and dimension correction. The machine includes the option for grinding non cylindrical parts, C axis.